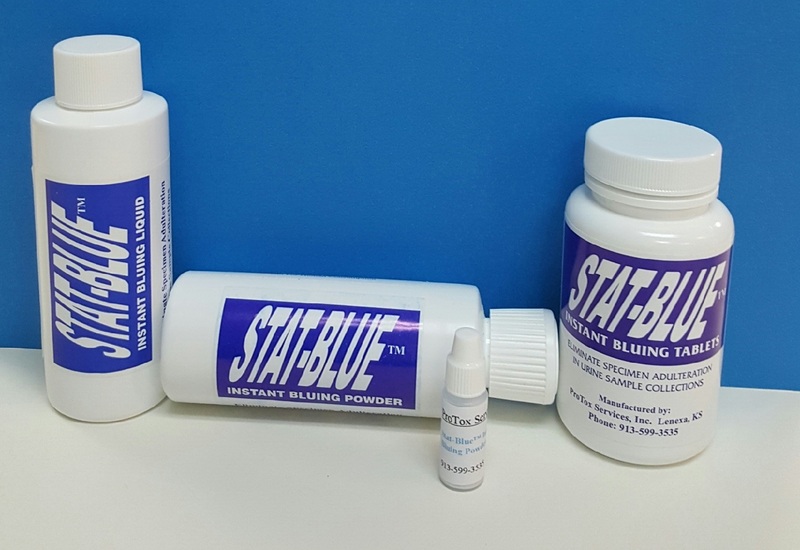 At DATIA, the collectors spoke and we listened… Introducing our newest product, MOBILE MINI STAT-BLUE™ POWDER designed to meet the needs of the busy mobile drug test collector!!! "Ensure that the water in the toilet is blue" "Tape or otherwise secure shut any movable toilet tank top, or put bluing in the tank." Plumbers also use these bluing agents for testing toilets blue the water in the tank with the tablet or powder, if the water in the bowl turns blue this indicates a leaking ball or flapper valve. Don't want to order online? Just grab an order form and set up an account. Want to start retailing Stat-Blue™ Tablets or Powder through your catalog or website? Give us a call at (913) 599-3535 to discuss price discounts on bulk orders. Stat-Blue™ is a registered trademark of Professional Toxicology Services, Inc. (Reg. No. 3,783,106).